Are you fascinated by the technology behind concerts and outside broadcasts? Do you imagine yourself as a sound engineer at Glastonbury or providing lighting for a West End show? 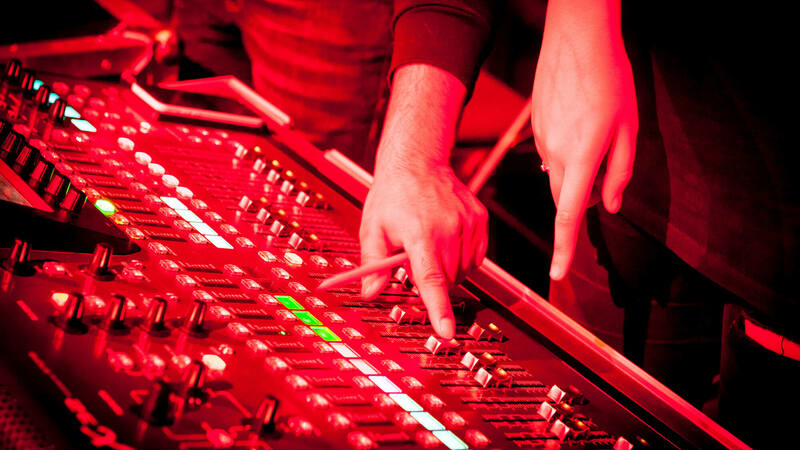 Our industry-focused courses are your perfect start to a career in events and entertainment engineering. 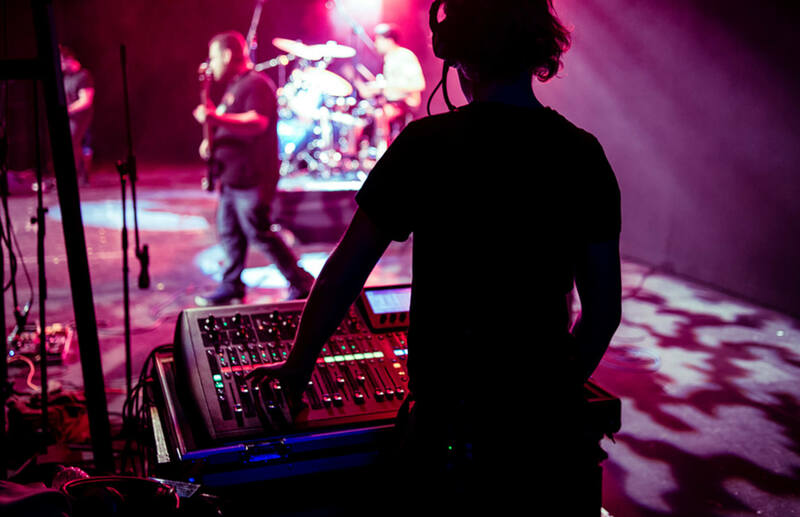 Our entertainment engineering degrees will prepare you for a career in this exciting field, with hands-on experience at live events supported by expert teaching from industry professionals. "The great thing about the course is it had a good mix of theory and practical"
Our first-class, industry-focused courses are your perfect start to a career in events and entertainment engineering. Our BSc (Hons) Broadcast Engineering and Live Event Technology course provides an in-depth understanding of the engineering and technology behind broadcasting, such as production, vision mixing, replay systems and signal distribution. You’ll be taught in connection with our industry partner, Cloudbass - where you’ll have a unique opportunity to access a wide range of industry standard equipment and knowledge. Our BSc (Hons) Sound, Light and Live Event Technology students study the theory and practice of entertainment technology. This course is accredited by the Institution of Engineering and Technology (IET) and it incorporates aspects of electronics, optics, acoustics, computer aided design, simulation and control, electrical power distribution, management, and team working. Our MSc Audio Engineering programme has been devised to allow good graduates of electronic engineering, music technology, or similar programs to develop the higher level expertise needed to enter the field of audio engineering, and to allow those already in it to upgrade their skills and understanding. You will study as an individual, but also at times as part of a group in integrated project work giving you the experience of working within diverse teams. We have an excellent employment record and our graduates work in senior roles across all areas of the entertainment industry. You could also go on to study our MSc Audio Engineering postgraduate degree.